The aroma of melting cheese and warm Bara Brith is wafting from the open door of Fortitude Bakehouse on a soggy spring morning. It's a beguiling fusion of savoury and sweet on the nose. Spiced-up dried fruit and the right cheese have a harmonious relationship - Eccles Cake and Lancashire; Christmas fruitcake and Wensleydale; Malt Loaf and, well, take your pick but I'd go for tangy Cheshire. I've come across a Christmas Cake flavoured cheese, but best not to go there! At Fortitude today it's, maybe, fortuitous timing that sees me walking through the door to find Eccles Cakes on the counter, just-out-of-the-oven Bara Brith cooling in its loaf tin and Cheese & Leek Batons reaching peak aroma point in the oven. Symphonic scents. 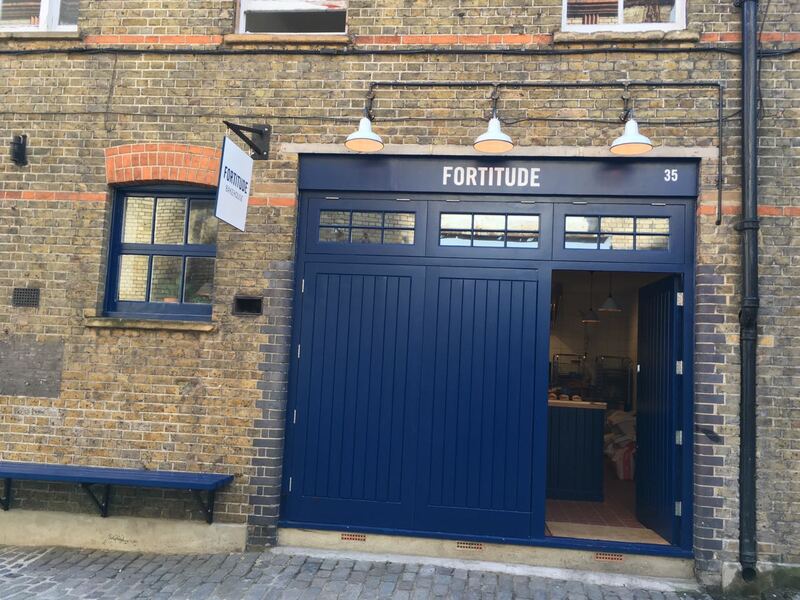 Fortitude Bakehouse is the new venture of Jorge Fernandez, founder of Fernandez & Wells and Dee Retalli, founder of Patisserie Organic and until recently Operations Manager for Fernandez & Wells. Slow ferment Sourdough craft-baking, sweet and savoury, and single-farm coffee is their usp but there are gluten-free and vegan bakes too. Wholesale and take-away is their focus but a strip of the small bakehouse is given over to those who can't wait to tuck-in and there is bench outside too. A Victoria Arduino coffee machine expresses the single-farm coffee and there is stone-rolled tea from the excellent Postcard Teas. As far as the waistline goes, it's a dangerous place to linger. All the preparation and all the results are in full view, and smell. There's a constantly changing parade of bakes - Dee Retalli clearly has quite a repertoire to place before us - but a slice of that Bara Brith is a good starting point. Lightly spiced, good dried fruit and a great, satisfyingly chewy (in the best way) texture thanks to the sourdough ferment. 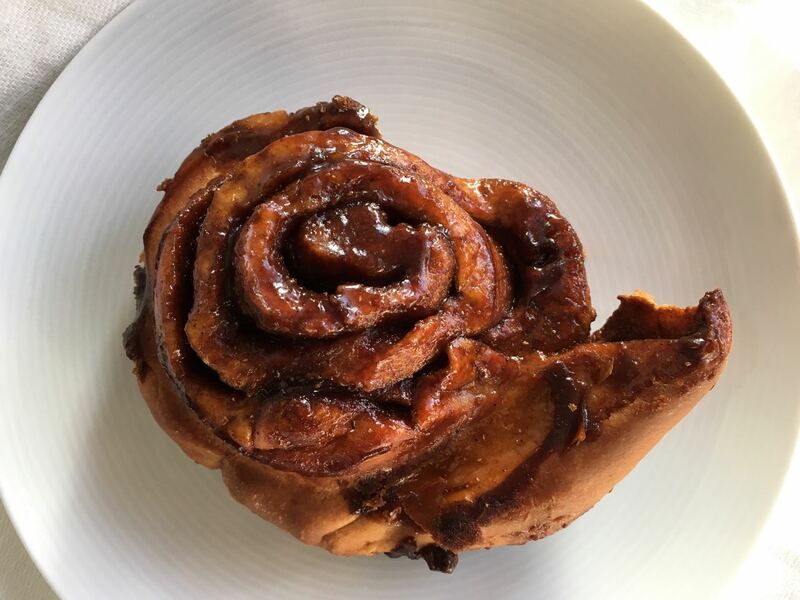 The Sticky Buns are irresistible and the muffins are what you always hope they will be but seldom are. 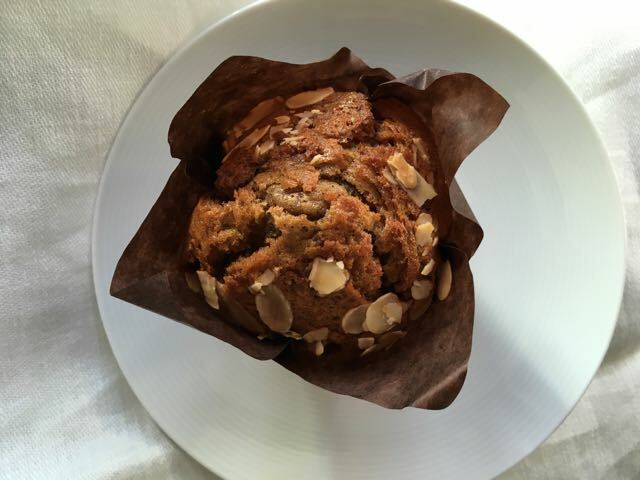 I've ordered enough bad ones to last a lifetime but my faith is restored by Dee's Carrot and Almond Muffin, not to mention the Bilberry version. And don't miss the Boiled Orange & Almond Cake - moist, sharp, sweet, bitter and fragrant. 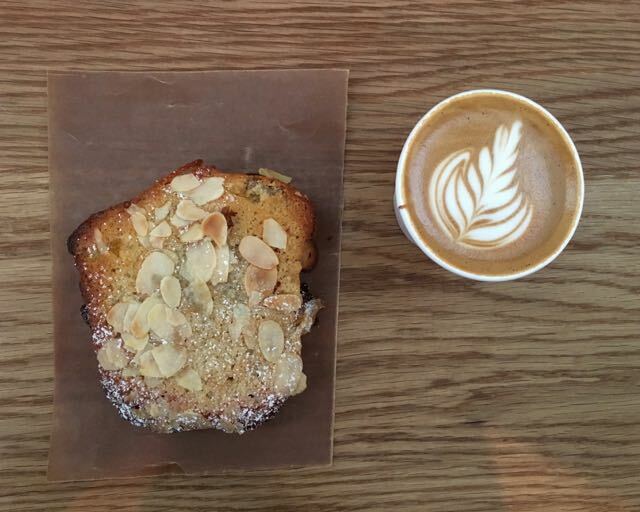 Or the Bostock, which until now has always failed to hit the spot for me. Early-morning means a bowl of yogurt with granola (nut-free and delicious) with honey; you may find a Berber omelette stuffed into a Breakfast Batbout (Moroccan Pitta bread). There's an unmistakable Moorish influence in the Bakehouse. By mid-day expect to see a soup on offer, a seasonal salad like a bowl of grains, herbs and roast vegetables, and a Ryebread Tartine. Bread, right now, is not too much in the frame, - though rye, soda bread and flatbreads make an appearance. There's a customer appetite for it. Can they resist? There are plans for baking classes and workshops and I, for one, can't wait. You'll find Fortitude Bakehouse right behind Russell Square Tube Station. The Bloomsbury Mews setting is just right - nicely tucked away and not too prettified. The old 'Horse Hospital', now an arts venue, occupies the corner site right next door and is the signpost that you need to look for. Or follow your nose to those harmonious scents of dried fruit, spice and cheese.